« What can we learn from around the world to build #BetterBritishFisheries? In an intensely polarized age, fishery issues have been among the few to stay above the partisan fray on Capitol Hill. Historically, amendments to the Magnuson-Stevens Act (MSA) have proceeded on a virtually consensus basis, with the 2007 reauthorization passing the Senate without a single “no” vote and other relatively minor changes to the law, such as the recent decision to shift management of Dungeness crab to the State of Washington, proceeding with bipartisan support. In taking this approach, lawmakers are following the lead of user groups, which often overcome legitimate differences on how to approach key issues at the local and regional level. In the past these solutions have followed an overall strategy of science-based management that has sharply reduced overfishing in the United States, fueled the recovery of dozens of depleted species, and enabled higher fishing quotas from the Gulf of Mexico to the Gulf of Alaska. But it is highly likely that the House Natural Resources Committee will depart from this tradition tomorrow and approve H.R. 200 (MSA reauthorization) and H.R. 3588 (red snapper) on a largely party line vote. 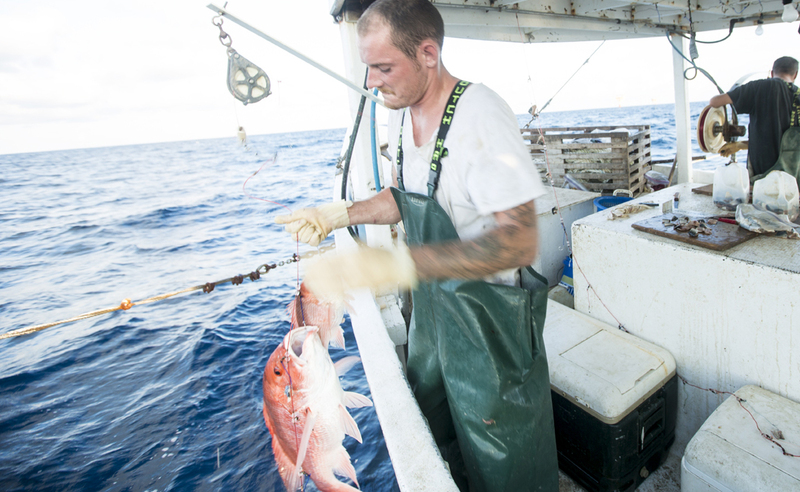 Fishing groups, chefs, scientists and others have voiced their concerns about these bills. Many groups, members and staff have worked hard to try to find a middle ground, but the bills as currently drafted lack any meaningful bipartisan support. They also threaten to create significant problems for marine fishes and the fishermen who depend on them. Here’s how. Exempting key fisheries from annual catch limits: As explained in a previous blog, legal requirements to prevent overfishing truly took hold only after implementation of annual catch limits (ACLs) in virtually all fisheries. That progress resulted in part from limits, sometimes for the first time, on how many fish recreational anglers could catch – limits that had already applied to commercial fishermen for years. H.R. 200 would exempt a significant, and unclear, number of fisheries from this important requirement, including an indeterminate number of species that are targeted by some fishermen. The North Pacific Fishery Management Council, among others, has raised concerns about this approach, and we agree. Eliminating rebuilding deadlines: The longer a fish population (or “stock”) stays overfished or in a rebuilding plan, the longer it stays at risk for declines. The stock is less resilient and things like negative environmental effects or declines in the numbers of young fish cause much larger problems. H.R. 200 creates so many exemptions from the current rebuilding requirements that it would effectively eliminate most rebuilding deadlines. The result could well be short term increases in quotas, but in the long-term it will likely lead to declines that will bring hardship to fishermen and coastal communities. Putting management tools off-limits: One underlying strength of MSA management is the primacy of the regional councils, which must use input from local user groups to form regulations that can only be rejected by federal regulators if they are illegal (not just different from what the feds would prefer). H.R. 200 would impose a moratorium on a form of management known as catch shares for at least a year while a redundant study is conducted. The bill would also dictate how councils could proceed with catch shares even after their authority to do so is restored, requiring a vote that includes non-active fishermen who could hold up a change in management that user groups want. Preventing innovation: Scientists, fishermen, and others use pilot programs under so-called exempted fishing permits to try out new gears, new data collection methods, and other innovations, but H.R. 200’s review provisions would hamstring regional councils’ ability to move forward with these pilot programs. Red snapper is one of the most popular species in the Gulf of Mexico, prized by anglers and commercial fishermen alike. Currently managed in federal waters by the National Marine Fisheries Service, private anglers have expressed interest in having their portion of the fishery managed by state fish and wildlife agencies even in federal waters, and H.R. 3588 would make that change. Although proponents of the bill assert that science-based quotas would continue to apply if management is transferred, the bill gives the states unfettered discretion in setting fishing season lengths without linking them back to those quotas, with only actual takeover of all fishing (including state waters) by the Secretary as a backstop. Long before the Secretary takes the “nuclear option” of federal takeover, overly long seasons could quickly deplete the red snapper population to the detriment of all user groups. The sponsors of H.R. 200 and 3588 likely have the votes to get these bills out of committee, but in proceeding without finding middle ground, the victory may be short-lived. Without broad support, these new provisions are unlikely to advance or work as intended. The best way to deal with fisheries challenges, today as in the past, is to grapple with the in-the-water implications of the bills and achieve as much consensus as possible. We look forward to continuing to work toward that goal as the process moves forward. This entry was posted in Domestic, Gulf of Mexico, Policy, Seafood and tagged Congress, US policy. Bookmark the permalink. Both comments and trackbacks are currently closed.